Are you confused about your career/ course? 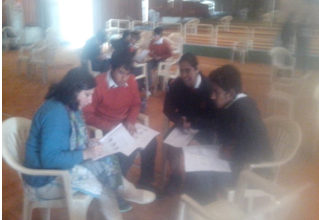 Want to go for personalized career counseling in Gurgaon? If yes, you can take help of our expert Dr Anubhuti Sehgal and resolve all your career/ course relate queries. 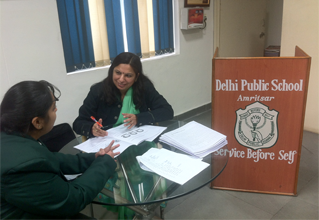 Dr Anubhuti Sehgal has conducted career counselling sessions at some of the prominent schools in India like Sardar Patel Vidyalay New Delhi, DPS Dwarka New Delhi , Titiksha Public School Rohini Delhi, N K Bagrodia School Rohini Delhi DPS Panipat Refinery , Greenway Model School, Delhi , DPS Amritsar , Silver Oaks School Hyderabad, J K Public School Kunjwani Jammu , Army Public School Ambala , APS Jammu, APS Gwalior , APS Kirkee Pune, CCA School Gurgaon , Saupins School Chandigarh, DPSG Palam Vihar, Gurgaon, Chinar School Alwar. . She is associated with DLF foundation as well and has conducted career counselling sessions at Jhankar School Gurgaon and Drona School Gurgaon. 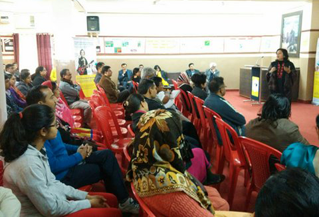 She has also conducted career counselling for wards of employees of Hero Motor Corp Gurgaon plant ( Consecutively for three years ) and for the wards of employees of Honda Motorcycles and Scooters Manesar Gurgaon. Dr Anubhuti Sehgal has represented MapMyTalent as "Knowledge Partner " with Times of India for many seminars and workshops and her articles are regularly published in " Dainik Bhaskar" and "Amar Ujala" She has also conducted career guidance sessions for Thomas Mar Thoma Church Kuwait and has helped students through TV show Success Mantra " that airs on News world India Channel and addressed students concerns on " CNBC Awaaz channel " . Whether you are a school student or a graduate or have completed your graduation but are confused about higher education options, we have answers to all your queries. You can get personalized advise for best stream after 10th and subject combination in class 11th, best course after 12th, what entrance to prepare to get admission in best college and best college to choose for these courses. Our Expert Dr. Anubhuti Sehgal offer personalized Career Counseling in Gurgaon at C 1549, Ground Floor, Sushant Lok 1, Near Peach Tree mall, Sec 43, Gurgaon. Whether it is choosing the right stream in after class 10th or class 11 or right course after 12th, or you are a graduate who is confused about whether to go for higher education and if higher education what course should I do, our experts can help you make the right career / course decision. 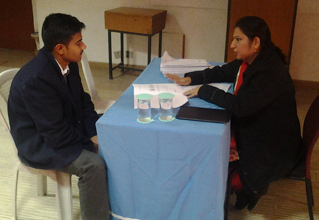 Services offered for Career Counseling in Gurgaon. Aptitude Test for graduates and above: Undergraduates and graduates with experience who are contemplating a career change / looking for higher studies can take the aptitude test at our centre. This psychometric assessment also requires no preparation. Career Assessment Test and Report: The assessments are analyzed by our experts and the results of the Aptitude, personality and Interest Test are represented in personalized Career Assessment report. The reports contain the scores and profile of your Aptitudes, Personality and Interest, Matching of strengths with the career interests and recommendation for the best suited careers. Personalized counseling with experts: Students and their parents can get Career counseling from experts. The counseling will help you know about your strengths in terms of aptitudes, personality and interests and will help you in choosing the right course after 12th and the correct career option for you. 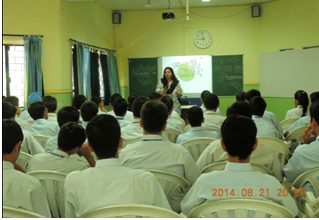 The experts also provide you with details of career options and about Top colleges In India. 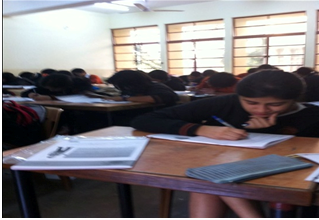 Study counseling depending on your learning style is complimentary when you avail career counseling at Gurgaon. Online Career Counseling: Infact, MapMyTalent's unique process makes it very easy for anyone in the country to get career counseling from the most credible career counselors. The tests can be taken online and the reports are sent to students in a pdf format. And you can get personalized career counseling from expert over phone or skype. All that one has to do is to be online and one can access quality career counseling. Who all have taken career counseling in Gurgaon ? 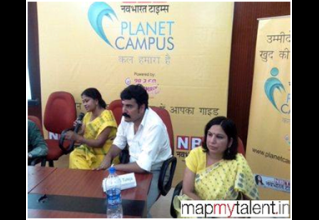 : Mapmyalent is the leading online career counseling platform in the country and many students from all the corners of the country have taken Mapmytalent assessments and counseling. 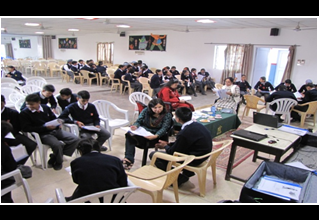 Students from all the leading schools in Gurgaon ( Like DPS Gurgaon, CCA School Gurgaon, DAV School, Gurgaon, SunCity World School, Gurgaon, Amity School Gurgaon) have also benefited from Career counseling in Gurgaon. 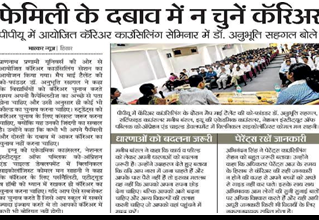 What has changed in career counseling in last few years? 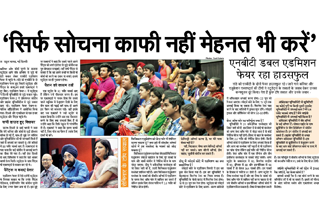 While there has been Career Counseling in Gurgaon happening in the traditional way, wherein providing career information has been the key. 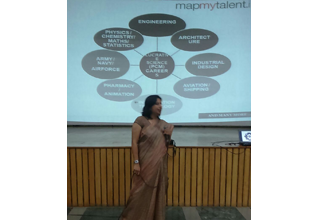 However, the nature of career counseling has changed quite a lot in the last few years and MapMyTalent has pioneered this new, improved and scientific methodology of Career counseling in Gurgaon. 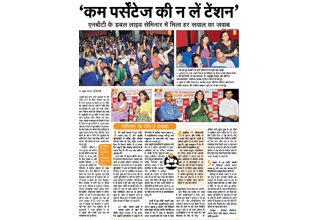 A few decades back career counseling was about getting the information about the various colleges and courses and the career counselors were the one who had access to this information and it was mainly about this course, that course in a particular college. The career options were also not so many. But today when there are so many career options and a lot of information about careers, courses and colleges is available on the internet, Career counseling is more about what's the right career for me and what career path one should adopt. Online Career Assessment: Research in the field of psychology and vocations has also made tremendous contribution in the field of career counseling. Career counselors these days use online career assessments and on the basis of that suggest career options that suit the profile of the student. Career Counselling at MapMyTalent: MapMyTalent adopts a methodology of career counseling where in the students first take an Online career assessment. The results are then analyzed by the experts and a comprehensive report is generated. This report contains the details about student’s strengths in terms of aptitudes and personality. Not only the student can know about what he has got, the report also matches the strengths of the student with the careers of his/her interest. Also, these strengths form the basis of recommendation for the right career and career counseling in Gurgaon and all parts of India.